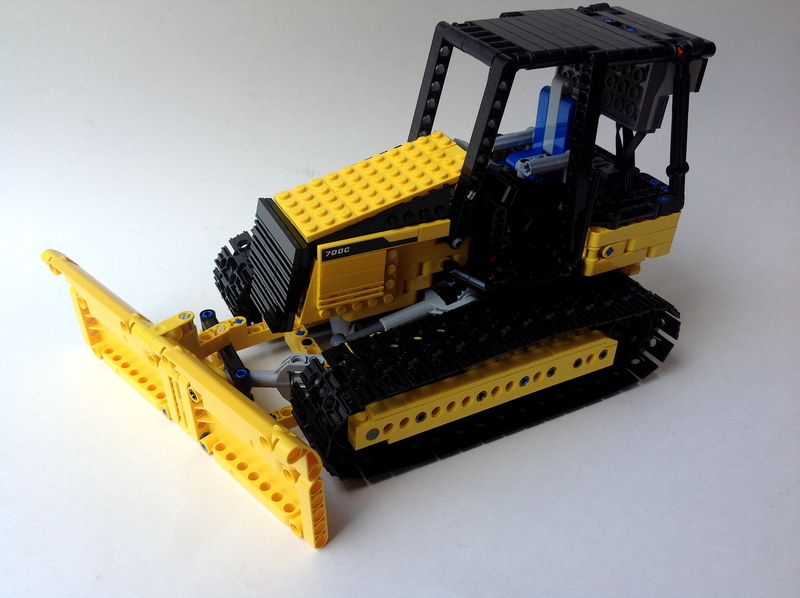 Construction equipment was pretty much designed for LEGO Technic. I learned this while designing my MB Axor Refuse Truck. Yellow bricks are pretty popular and accessible, the equipment usually has many functions which can be replicated, and working models with power functions can be made to reenact various construction projects for great playablility. After finally getting some large track links, I figured it was time for me to do a bulldozer. I wanted to model the CAT D5K for a couple of reasons. First, it used a two wheel track for each side rather than a three wheel track for each side. Second, I wanted to do something by CAT. Third, I decided on the D5K because for dozers of this size I think it looked the best due to its stance and overall balance. Plus, when I started looking at the scale of the dozer I was to model, I learned the D5K would work best with the parts needed such as the tracks and blade, and work with the internal space allowed. The base D5K really only has three functions: drive, blade lift, and blade angle. I had no intention to add a ripper, because, frankly, I ran out of space. Space became an issue very early. I had 9 studs to work with between the tracks, and I needed to add four motors, a dummy motor, a battery box, and two receivers, all while retaining the appropriate look. All the gearing had to be compact, and the linear actuators needed to be placed efficiently. The real D5K has a manual adjustment for the blade pitch, but all of my designs left something more to be desired, so I took it out. Both tracks would have their own motor, and I wanted to link them to a dummy engine, which required a differential. I connected the motors directly to a worm gear which drove a 8z gear. This gear was on the axle for the rear drive wheel, and connected on the other end to a differential which connected both drive wheels. This differential functioned as a power take off for the dummy motor in the front of the bulldozer. Two more motors were placed under the dummy motor. One connected though a 12z/20z gear reduction for the blade angle. It proved difficult to supply power for the blade angle function through the blade tilt pivot without taking up too much space. The second motor was used to adjust the blade height. 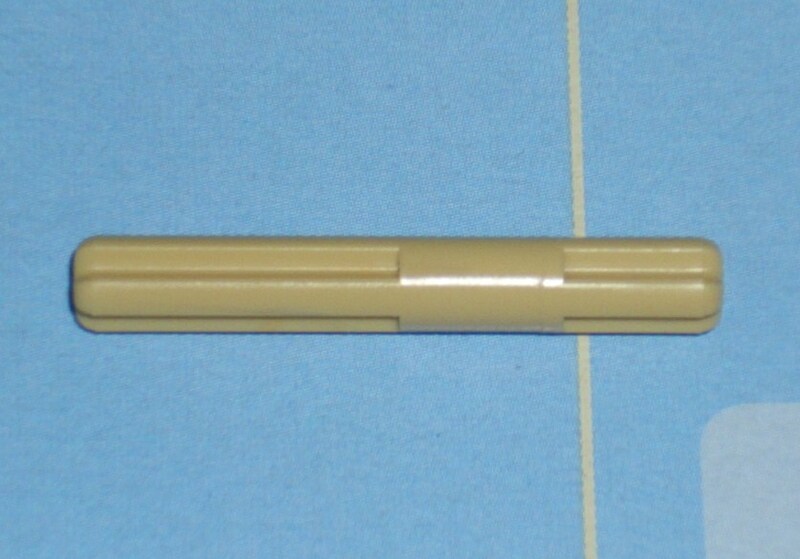 After a simple reduction, two mini linear actuators were used to move the blade up and down. It worked well, and was plenty strong. I added the battery box under the driver’s seat, and placed the two IR receivers in the top of the cab. It was not optimal aesthetically, but it seemed to work well for control. And again, I just ran out of space. I worked on the body, gave the model a working hood, and built a cabin. The model worked well, but building with tracks is always a little bit frustrating. Like it or not, LEGO plastic will never be fully smooth, and this is compounded with the track system. Also, I found that the dummy motor would lose its connection to the drive wheels, as the axles connecting to the differential would slip out every once and a while. This seems to be a commom problem with Technic builders, so we will see if the new axles will help. I liked the size of this model, and it had a good amount of functions. Now I need to use the tracks for something else. The full gallery may be found here.